The New York Empire, presented by Citi, has announced the themes for each of its seven home matches during the 2018 season at the USTA Billie Jean King National Tennis Center in Flushing Meadows, N.Y. Featuring live entertainment, games, food trucks and face painting, the team will welcome guests of all ages as top-ranked American John Isner takes the court against the Washington Kastles on opening night, July 15, for Family Fun Night. Festivities will begin at 3:30 p.m. and the action on the court will be served at 5:00 p.m. that evening. On Wednesday, July 18, the New York Empire will honor women who inspire today’s youth as Billie Jean King and the Women’s Sports Foundation participate in “Empower Her Night” when the Empire host the Philadelphia Freedoms. Mardy Fish, former American number one, will take Court 17 on Monday, July 23 when the Washington Kastles make their second visit to the National Tennis Center as the New York Empire host Unity in the Community Night. The night will feature a salute to military service members, veterans and first responders. Any tennis fan who attends in uniform or shows their military or service identification card will receive complimentary admission to the night’s match. On Wednesday, July 25, the New York Empire will celebrate and showcase the multi-cultural fabric of Queens on “International Night.” Live music, international cuisine and special, on-court performances will highlight the evening. The Orange County Breakers come to Court 17 on Thursday, July 26 when Genie Bouchard and Fish will help host “Volleys Against Violence.” High school students are encouraged to rally together and join the evening that will feature a pre-match pizza party with local police officers and on-court contests. Tickets for the evening cost just $10 for students. 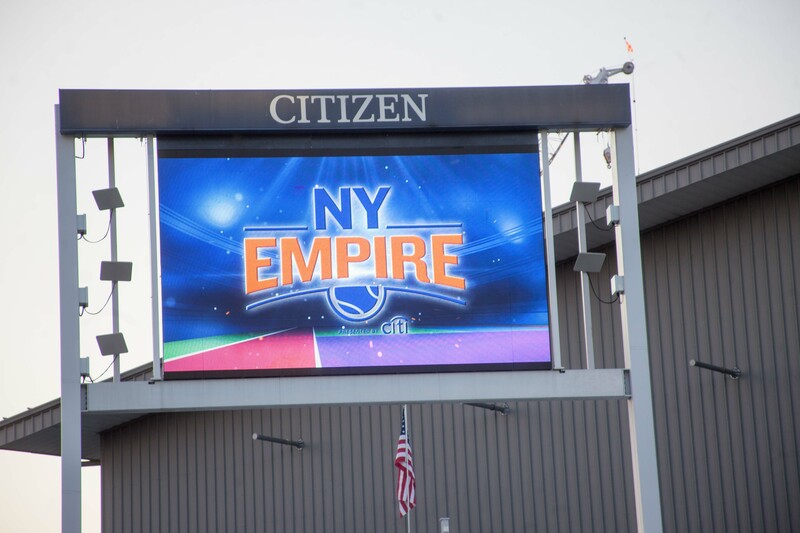 The New York Empire will close out its season on Thursday, Aug. 2 against the Philadelphia Freedoms with Fan Appreciation Night. Promotional giveaways will be featured throughout the evening and the first 500 guests will receive a special gift. One lucky fan will win a raffle for 2019 New York Empire season tickets.